Legend – showing four statuses: Speculative, In Planning, Signed Off and At Risk. 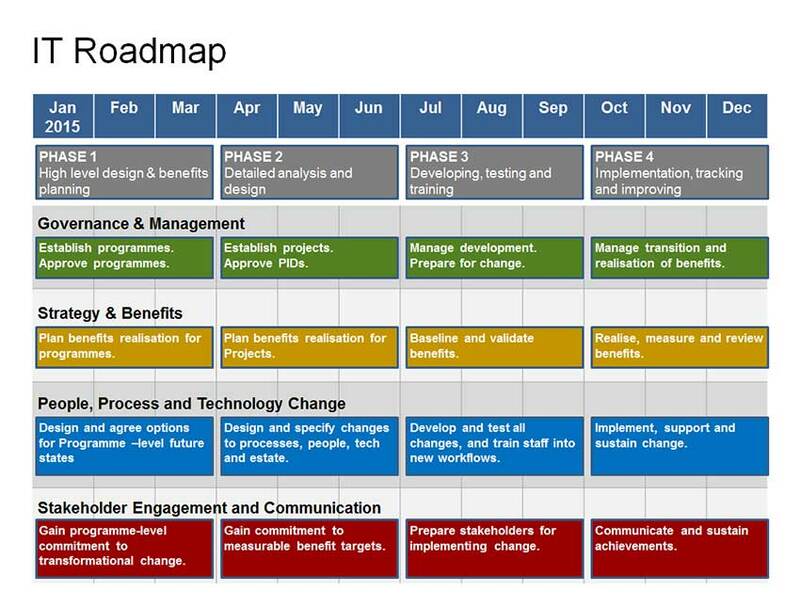 Milestones & Checkpoints – showing the key dates on your project timeline. 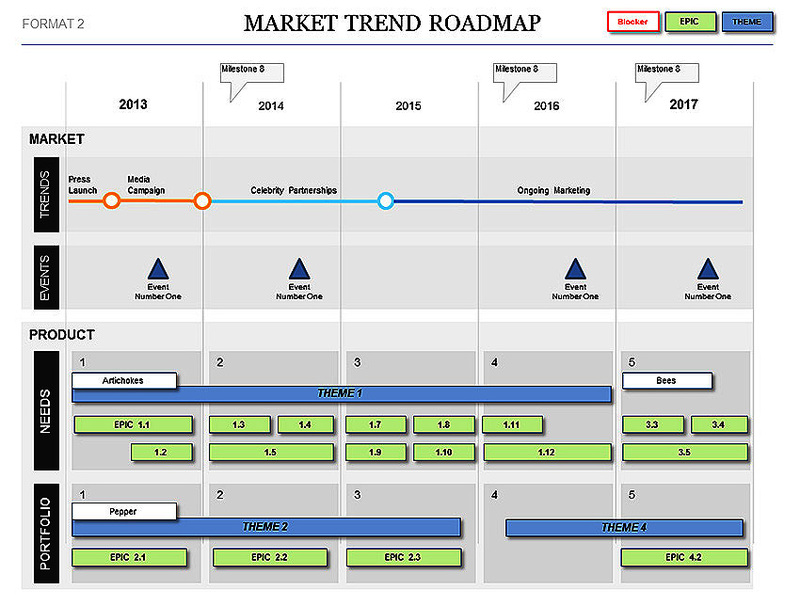 Timeline – using a standard Powerpoint table so that you can change the date range. Project Bars – each workstream shows project bars to clearly show important activities. Communicate your important Project information quickly! This document is easily understood in minutes – it clearly shows the important parts of your project, on a timeline. More effective than a Gantt for rapid understanding. You don’t need endless Gantt charts and spreadsheets to explain your project – use this 1-side design to communicate project plans and risk at-a-glance!